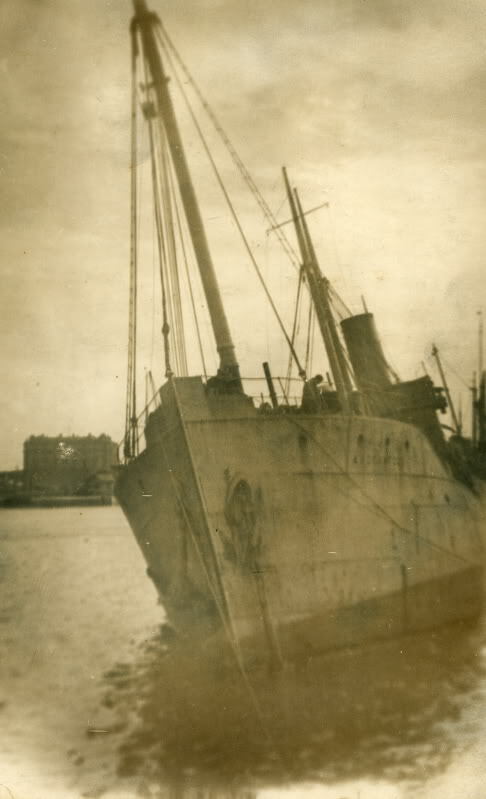 Can anyone identify the vessel on the postcard? The name is either ARGANTOCK or ARGANTOCH. 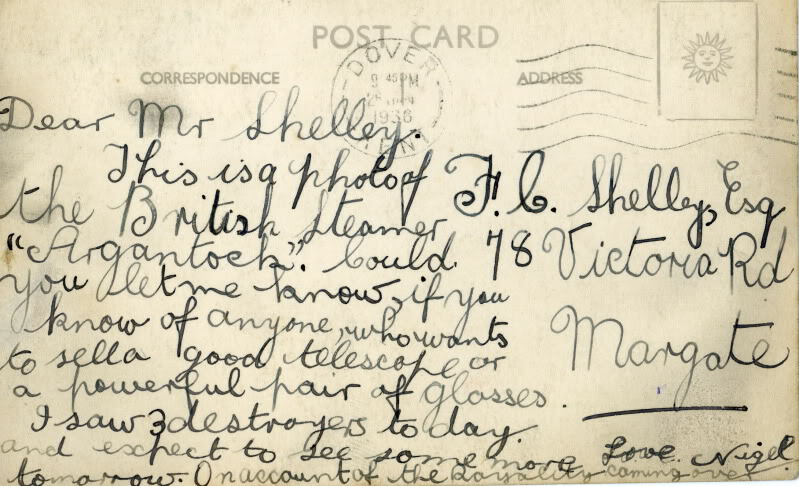 The postmark is 1936 though the photograph could have been taken a lot earlier. I and a friend have conducted several researches through the Shipping Registers but have drawn a blank.The only piece of information I can find is from a French newspaper giving ship listings from various ports. ...I knew Mr Shelley when I was a mere youngster. By profession he was a Watch and Clock repairer in Margate in the 1950's. 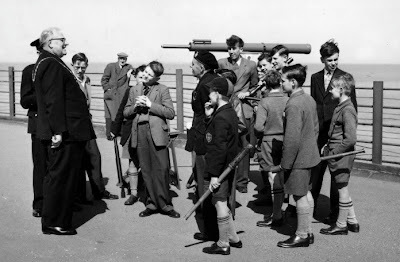 He was very keen on the English Channel shipping movements and ran a Ship spotting club in Margate. I can remember going on a boat trip that he organised on the Thames which included going through the locks into the Docks on a small pleasure craft under the stern of what seemed to be a gigantic ship. 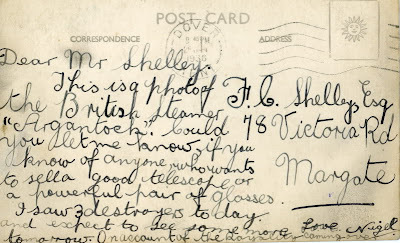 In the 1950's Mr Shelley lived on Grotto Hill with his Sister and Bro in Law. He was our next door neighbour. I also knew Fred Shelley. He founded the Walpole Bay Ship Spotting Club in the late 50's early 60's. We spent many a day with him and his very large telescope at Walpole Bay during our summer holidays. 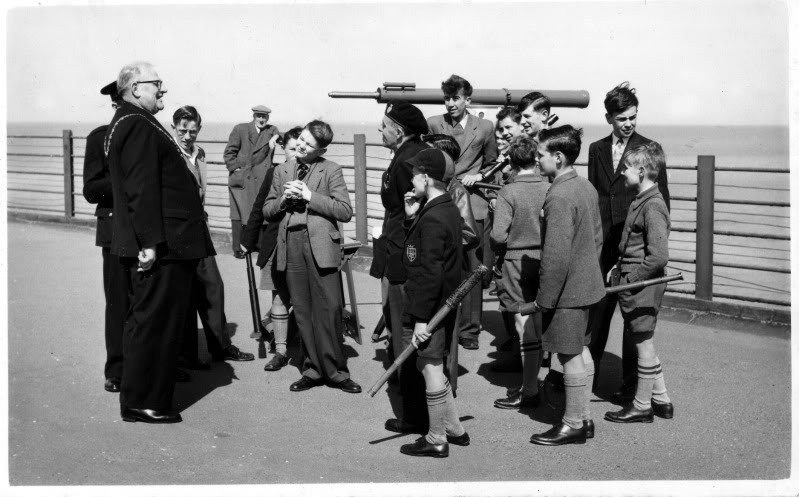 As you said, he arranged many a visit to ships in the Royal Docks. The photo came from his collection that was given to me when he passed away. Click here for some more fun details on Mr. Shelley. Oh my goodness, this is quite fantastic. There is something haunting about vessels from a bygone era... the Lusitania, the Mauretania, the SS France (check out the expo in Paris at the moment! ), & the fairest of them all, the SS United States. She looks more haunting than ever rusting slowly into the sea down in Philly. Do more maritime Ms Hovey! Vintage yachts... vintage ensigns (http://www.naieli.com/vintage-maritime-ensigns/). Glorious! Hollister very intriguing, I love it when we can discover more first hand knowledge of bygone eras. WHAT A DISCOVERY TO FIND REFFERENCES TO THE WALPOLE BAY SHIPSPOTTERS CLUB.I AM A NEW SILVER SURFER TO ME THIS DISCOVERY IS GREAT.I WAS A MEMBER OF THE CLUB AND NEW FRED SHELLY OR AS HE WAS KNOWN AS"UNC" I REMEMBER YOU WELL TED THE LONDON DOCK TRIPS THE VISITS ON BOARD SOME OF SHIPS IN THE ROYAL DOCKS THE EXHIBITION WE HELD AT THE LIBRARY, APPEARING IN PATHE PICTORIAL AND WATCHING AT THE CAMEO CINEMA IN CLIFTONVILLE.GREAT MEMORIES OF GOOD TIMES ALL BROUGHT BACK AN OLD POST CARD! BOB H.